You probably already knew that Jack and Rose, the main characters in the 1997 movie Titanic, weren’t real. Like all films “based on a true story,” the movie added its own fictional elements to historical events. But during the film, Jack and Rose do run into several characters based on real people—some of whom have far more interesting stories than the film addresses. The movie’s writer and director, James Cameron, “wanted to surround [the roles played by Leonardo DiCaprio and Kate Winslet], particularly in first class, with real passengers,” says Paul Burns, vice president and curator for the Titanic Museum Attractions in Missouri and Tennessee. Don Lynch, the historian for the Titanic Historical Society who also served as the 1997 film’s historian, says Cameron picked out these people in advance when he wrote the script. On set, Lynch advised the actors about their historical characters’ accents, behaviors, and personalities. 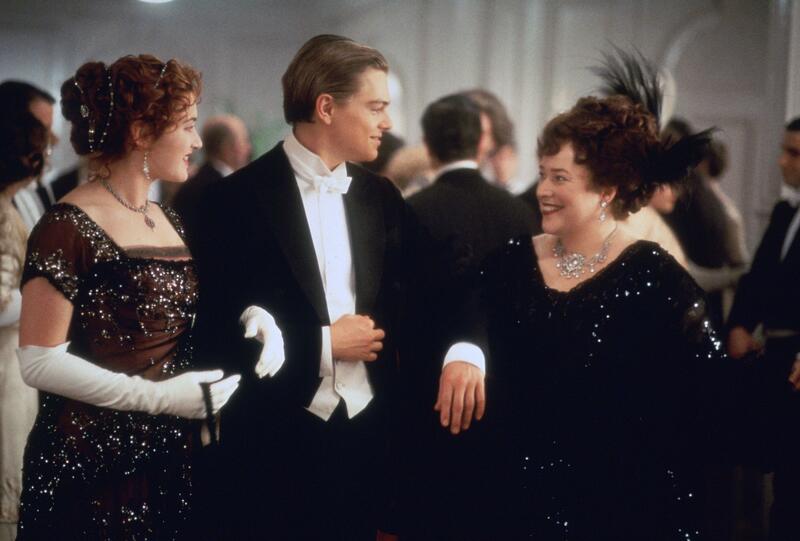 Kate Winslet, Leonardo DiCaprio and Kathy Bates in ‘Titanic’ directed by James Cameron. (Credit: Twentieth Century Fox Pictures/ScreenProd/Photononstop/Alamy Stock Photo)One of these real-life characters was Margaret Brown, who was played by Kathy Bates in the film. Brown became known as the “The Unsinkable Molly Brown” because of her role during and after the Titanic disaster in April 1912. 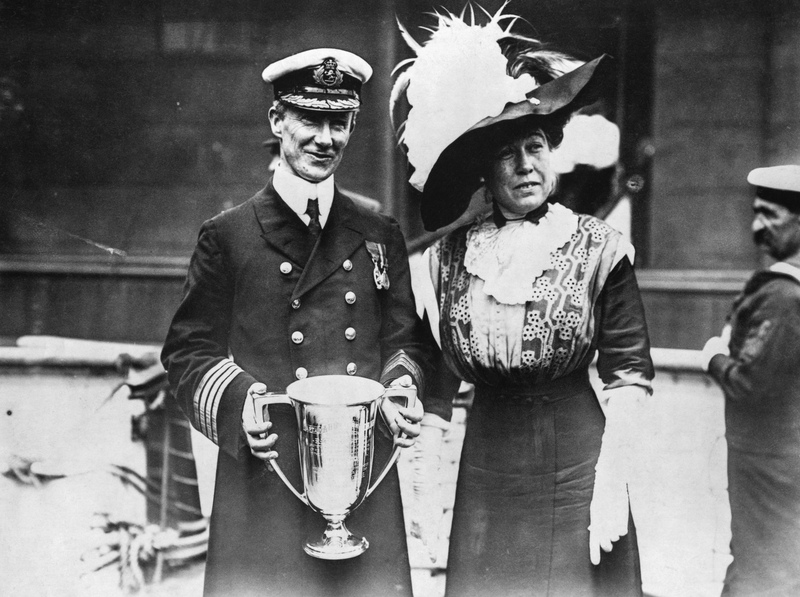 Once the Carpathia rescued the Titanic survivors who’d escaped in the lifeboats, Brown coordinated with other first-class passengers to help the lower-class survivors. In one of her most memorable scenes in the movie, she tries, unsuccessfully, to persuade her under-filled lifeboat to row back and save more people. “There are true accounts saying that she did that,” notes Burns. Yet even with her large, vibrant role, she still “didn’t get to be as dynamic as history plays her to be,” says Lynch. 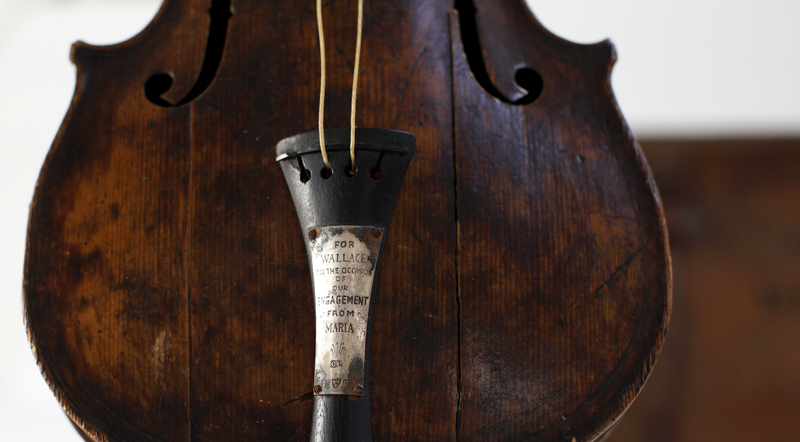 The violin owned and played by bandmaster Wallace Hartley during the final moments before the sinking of the Titanic, displayed at a conservation studio in Lurgan, Northern Ireland, 2013. The violin was recovered along with his body 10 days after he and other band members played to calm passengers on the deck of the stricken ship after it hit an iceberg on its maiden voyage. The instrument bears an engraved message from the musician’s fiance that reads: For Wallace, on the occasion of our engagement. From Maria. (Credit: Peter Muhly/AFP/Getty Images)Captain Edward John Smith, too, went down with his ship both in the movie and in real life. But historian Tim Maltin, who has written books and worked on documentaries about the disaster, argues it didn’t happen the way it does in the movie. The captain’s quick decision to seal the watertight doors, another real-life event portrayed in the movie, helped save lives, says Burns. Smith’s fast thinking “prevented the ship from sinking like it normally would,” he notes. If he hadn’t sealed the doors, the ship would’ve sunk towards the side where it hit the iceberg and then rolled over. It also would’ve gone down a lot quicker. In addition to Brown, Hartley, and Captain Smith, the movie also features historical figures who, though they only appear briefly, had incredible stories in their own right. Remember that famous scene where Jack and Rose climb up to the stern of the ship as it sinks? The couple latches onto the railing as people fall to their deaths—while the man above them nervously takes a drink from his flask. 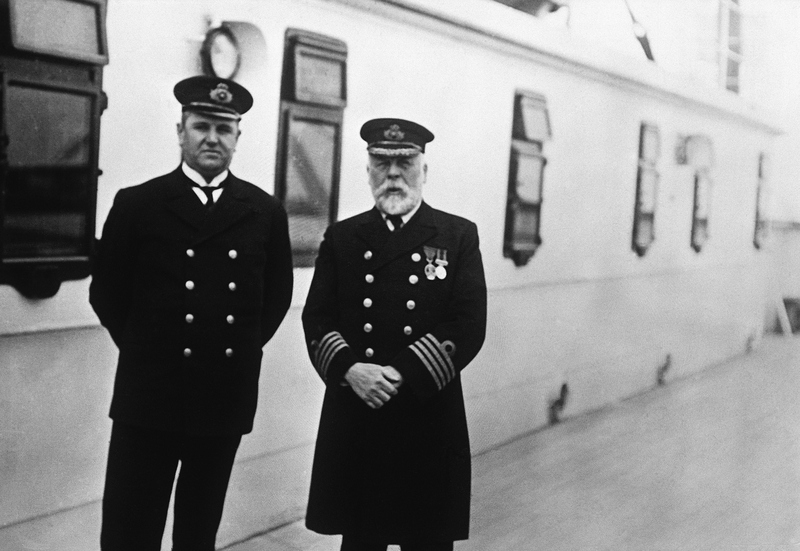 That man, Charles Joughin, was the real-life chief baker on the Titanic. He went into the water while holding onto the back rails of the ship just like he does with Jack and Rose in the movie (and before that, he’d snuck back to his room for a drink). But unlike Jack, Joughin survived. He was one of the lucky few who was able to get out of the water and onto collapsible lifeboat B, which had fallen into the water without anyone in it. And Joughin isn’t even the only real person in the movie with a remarkable survival story. Colonel Archibald Gracie IV was another background character in the movie who provided humor with lines like “Back to our brandy, eh?” Lynch says that Gracie was sucked down into the water with the ship, probably when the first part broke off, and then swam to collapsible lifeboat B. 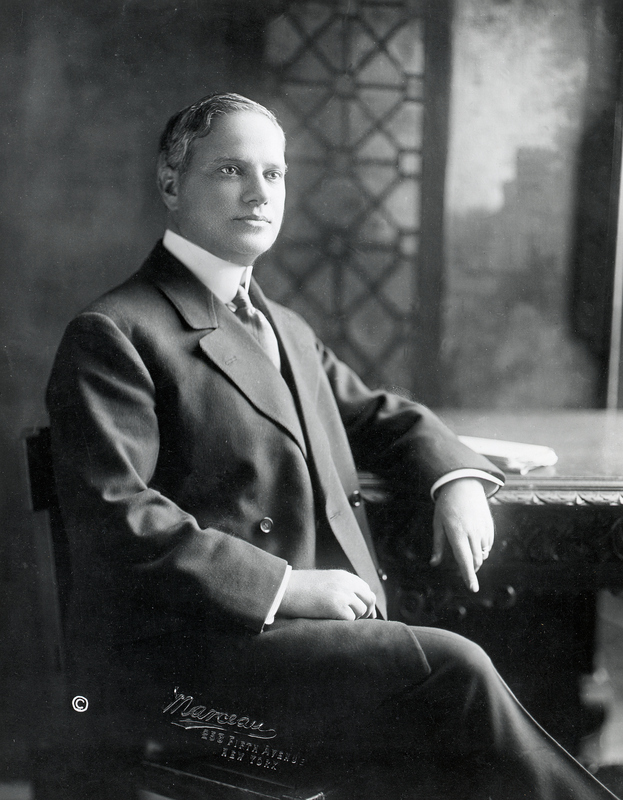 Though Gracie survived, he suffered from hypothermia and died later that year; yet not before completing his book, The Truth About the Titanic, which detailed what happened to him that night. Astonishingly, Lynch says there is some truth to that, too.